Ya Meza is not your average Lebanese eatery. 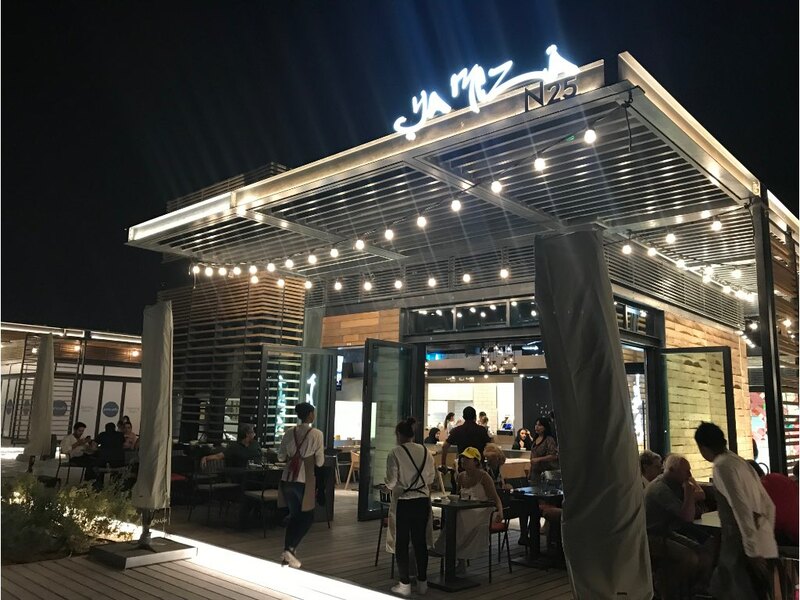 Featuring waiters dressed in traditional clothes, this modern sea-facing spot serves fresh Arabic fare, with the voice of Fairuz lingering in the background. 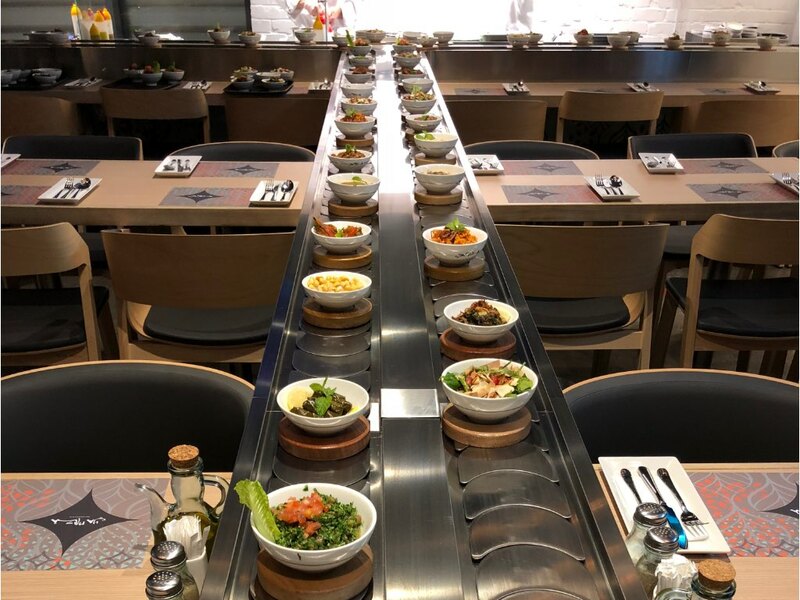 You'll find all the classics – tabbouleh, hommos, sfiha, soujouk, and more – served in colour-coded bowls on a conveyer belt, so you can eat as much or as little as you like.